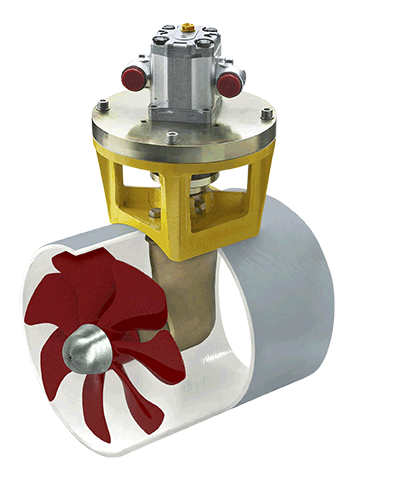 For vessels with existing hydraulic power installations, or with an engine capable of driving a Vetus hydraulic pump, a Vetus Hydraulic Bow Thruster is a very attractive option. The main advantage of hydraulic power over DC is virtually unlimited running time (providing you can cool the oil). This is often vital for heavy displacement yachts or commercial motor craft.